Subtitle: Why was Nick held by Iraqi police for 13 days and Coalition Forces for 11? Did you know that Black Magick Freemasonry has a symbol for Degrees 9-11 which depict a decapitated head by a short sword, a symbol depicting the destruction of the Old Order so the New World Order can be established? Why do we see an Occult Signature to this event? Who benefits from this beheading? The cruel decapitation of American contract worker, Nick Berg, shocked peoples of the world, many of whom had thought they were beyond shock at this point. After all, we have all been inundated with images of horror, terror, war, torture and sexual degradation to a degree unheard of in the modern age -- all occurring after 9/11. Truly, everything did change because of the attacks of 9/11. On April 30, 2004, The New Yorker shocked the world with its long and detailed expose' of how American prison guards "just followed orders" in torturing and sexually abusing many Iraqi men and women in the infamous Abu Graib prison. Every day since April 30, we saw more images than we ever cared to see; every day since April 30, we have heard recriminations fly back and forth from a US military and government desperately seeking to control and contain the damage. Suddenly, airwaves were filled on May 11 with images of alleged Islamic fighters viciously beheading an American contract worker, Nick Berg. (I say, "alleged Islamic fighters" because they were so covered from head to toe no one could identify who they were or their ethnic origin). The beheading was shown on the video, allowing those interested to view the bloody carnage frame by frame, should they choose to do so. The executioners identified themselves as being Al Qaeda and the head executioner as a deputy of Osama bin Laden. Suddenly, much of the "shock and awe" produced by the American and British prison atrocity scandal was swept away -- temporarily at least -- by this unbelievable beheading. The whole world was shocked into disbelief and denial. Even the terrorist group, Hizbullah stated that such atrocity is not the work of the "peaceful" Islamic religion. The Sunni and Shiite Muslim groups in Iraq said the same thing -- even though Muslim Chechen fighters have committed similar atrocities against Russian soldiers and even though beheading is the preferred manner of execution throughout the Muslim Middle East. The atrocities committed by the American and British guards throughout the military prison system in Iraq, Afghanistan and Guantanamo Bay areas had successfully enraged the Muslim world, and now this beheading seemed destined to similarly outrage Western sensibilities. If someone wanted to deliberately provoke a war, these two events would potentially set both sides into blind anger and a desire for revenge. At first, I had no reason to disbelieve the cover story that this beheading was the work of anything other than what the Mass Media has been portraying -- radical, fanatical Islamic Jihad fighters. The fate intervened. Now, I wonder who really killed Nick Berg. 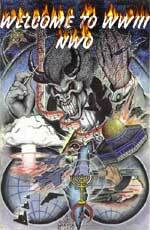 One of our researchers discovered a little-known Arabic Black Magick Masonic group called, "Memphis-Mitzraim" (also spelled Memphis and Misraim; "Destruction of the Trade Centers: Occult Symbolism Indicates Enemies Within Our Own Government", by Robert Howard, http://www.theforbiddenknowledge.com/hardtruth/destruction_of_the_trade_centers.htm). 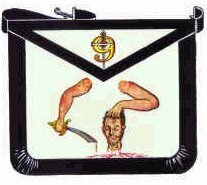 As you can see, this Masonic group had as its symbol for Degrees 9-11 a depiction of human decapitation by an Arabic short sword/long knife! This symbol is shown here on a rather typical Masonic Apron. As I examined this symbol, I could not help but think how closely it paralleled the horrific beheading of Nick Berg. 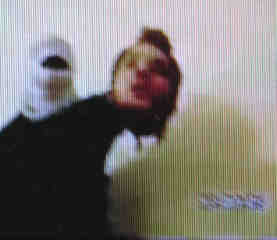 Click here to see the image captured on video of the executioner holding up the severed head of Berg. Beware, this image is graphic! This Masonic symbol closely parallels the reality of Nick Berg; his head was severed by a strong executioner wielding an Arabic short sword/long knife. After the symbolic beheading was completed, the executioner held the severed head up by grasping his hair, blood dripping off both the knife and out of the neck of the victim -- just as Nick's head was held up very soon after his beheading. Is this parallel simply coincidence? What is this shadowy group of Arabic Freemasons who go by the name, "Memphis-Mitzraim"? As part of my research, I contacted Bill Schnoebelen, former Satanist, Freemason, and Mormon. We carry many of his books in our bookstore. Bill gave me the following information about this group. "Memphis-Mitzraim" is a little-known Masonic group based upon Arabic and Egyptian Magick. As such, they are deeply Satanic and very powerful throughout the Middle East. Any Arabic Mason who dares to disobey the edict of the top commander of "Memphis-Mitzraim" stands in dire danger of death. This group is very powerful and feared; however, their top commander is controlled by the top leadership of International Illuminized Freemasonry! This latter revelation struck me strongly, for this means that, if the Illuminati is pursuing a deliberate "Blood In The Streets" strategy of deliberately provoking a war, this incident could not have been better orchestrated! The Muslims are now enraged by our deliberate destruction and desecration of their mosques, by our killing of large numbers of civilians and by the torture and sexual degradation scandal in military prisons. Now, the Western side is in danger of being radicalized by this beheading. Getting both sides in a conflict enraged with one another is one sure way to start a war! Now, let us turn to some other research that tells us more about "Memphis-Mitzraim". Anthony Hoffman could only mean that the "Masonic grade of Ninth degree" is obsessed with decapitation ritual. This type of obsession with death is common to all degrees of Black Magick Satanic secret societies. The secret society to which President George W. Bush is a lifelong Adept is similarly obsessed with death. Its main symbol is the crossed skull and crossbones with the number, '322' in the middle (See NEWS1314). Just a few days ago, The Rutherford Institute ran an interesting article reporting the reality that both President Bush and Senator Kerry are lifelong Adepts in Skull & Bones. In this expose', this article captured this obsession with death. "... since its inception in 1832, Skull and Bones has grown into a shadowy, elite society that selects 15 members each year from the senior class of Yale University ... Using high-tech night vision equipment to peer into the inner courtyard of the Skull and Bones headquarters (called the 'Tomb') in New Haven, Conn., Rosenbaum claims to have witnessed the elements of this strange organizations rituals. 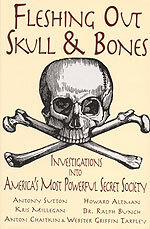 If you want more detailed information on Skull & Bones, including a complete membership roster, we carry "Fleshing Out Skull & Bones" in our bookstore. Whenever you see anyone, or any organization, depicting and loving symbols of death, you may know of a certainty that person or group hates God and may very likely be caught up in occult practice. Now, that is hot news! 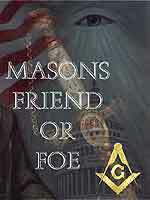 Albert Pike created a super-secret, very powerful Luciferian group within a group called The Palladium Rite. 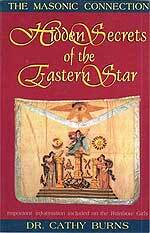 This rite combined the Grand Lodges, Grand Orient, all degrees of Memphiz-Mitzraim, and the Scottish Rite. Therefore, high-level Freemasonry contains the entire Arabic practice of Memphiz-Mitzraim, and totally controls the separate modern-day Arabic Masonic Lodge operating throughout the entire Middle East. Is it possible this beheading was an Illuminist ritual killing designed to further the "Blood In The Streets" strategy of starting a Regional War between Islam and the West? As we stated, above, this beheading is certain to cause a great deal of anger within the West and if it continues, will certainly bring the West to the point of all-out war. As US "investigation" of the torture and sexual degradation charges moves slowly forward, the gradual release of sensitive images is certain to continually build up Muslim rage against the West. Let us now examine the occult mystical meaning behind the symbolism of the decapitated head. 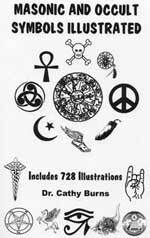 "9th, 10th, and 11th Degrees - Mystical symbol, meant to convey spiritual truths. The symbols are represented by a dagger and a bloody head slashed from the body of a sleeping man. The man asleep symbolizes mortal sense, liberty, and justice, and that a beheading must take place before a higher expression of Life can arise. Spiritually interpreted, the sleeping man is mortal consciousness, which must undergo a change of intelligence (lose the head or old state of mental development) before Truth, the Spirit of Christ, can arise in the soul. This is comparable to the Bible story of the beheading of John, which represents the passing over to a higher plan of expression of the intelligence and love gained in the lower self." Bill Schnoebelen concurred that this is one valid explanation of this beheading symbol. What this symbolism is likely to mean to the Illuminati at this point in time is that the "sleeping man" whose head was severed represents the Old World Order -- that order of things as they now stand. As we have repeatedly stated, the Illuminati hates this Industrial Civilization and fully intends to bring it crashing down, to be replaced by an Agrarian Civilization like that which existed in Europe 300-400 years ago. The "Spirit of Christ" mentioned in the paragraph, above, is likely the occult Gnostic "Christ Consciousness Spirit" so commonly identified with Antichrist. When the "sleeping man" dies, his death is viewed by the occultist as "good, benevolent, necessary" so the New World Order can be brought into reality. We have repeatedly stated that our purpose in invading Iraq was to trigger the all-out Regional War that would then trigger the world war plus the planned terror attacks that will crash the Old World Order. Just as the Bible foretold that the final birth pangs ("sorrows") that will finally "give birth" to Antichrist will be "Wars and Rumors of War", so the Illuminati looks upon the staging of their "Christ" as a birth through war. The war in Iraq was to trigger this World War III, the final birth pangs. Truly, Western Civilization is a "sleeping man" today. Our citizens all throughout the Western countries are truly "asleep" spiritually and politically. Never in world history have so few leaders been able to completely deceive so many citizens. When the war finally begins, and citizens of all democratic countries begin to lose their cherished freedoms and rights, the head of the "sleeping man" will roll. We cannot leave this discussion without understanding that this event contained an "occult signature". If you are not familiar with what constitutes an "occult signature", take a moment to read NEWS1756, "EVENTS CONTINUING TO OCCUR "BY THE NUMBERS" -- SACRED OCCULT NUMBERS". Since a practicing occultist believes that a good plan can come to ruin if it is not carried out "by the sacred numbers", he will plan the physical facts of the event to occur according to their sacred numbers. In the plan to produce Antichrist, the number "11" represents Antichrist. Thus, if we can see "sacred numbers" occurring in the facts of a story, we must look deeper to see if that story might have been carried out by the Illuminati. This beheading story does contain the sacred numbers of "11". "The victims family said Nicks wrongful 11-day detention by coalition authorities in Mosul prevented him leaving the country as he intended. According to his father Michael Berg, fact he was Jewish may have exacerbated his predicament. Slaying recalls 2002 murder in Pakistan of Wall Street Journal Daniel Pearl reporter who was also Jewish and whose murderers are still at large." "BAGHDAD, Iraq (AP) - A video posted Tuesday on an al-Qaida-linked Web site showed the beheading of an American civilian in Iraq and said the execution was carried out to avenge abuses of Iraqi prisoners at Abu Ghraib prison. In a grisly gesture, the executioners held up the man's head for the camera. The American identified himself on the video as Nick Berg, a 26-year-old Philadelphia native. His body was found near a highway overpass in Baghdad on Saturday, the same day he was beheaded, a U.S. official said." Thus, this grisly video was posted to the Internet on Tuesday, May 11. Since May is the 5th month, it can be written "5-11". An occultist calculating sacred numbers would multiply "5x11" which equals "55", a number which means "Double Death". "The video is of poor quality, and its time stamp seems to show an 11-hour lapse between when the assailants finish their statement and push Berg down, to when they behead him." Thus, the executioners forced Nick Berg to speak his name, the names of his family so the video would record it, and then waited 11 hours to execute him! This story gets really strange with the revelation that Nick Berg's Dad is listed as being associated with a major Antiwar group called "A.N.S.W.E.R." Coalition (Act Now to Stop War & End Racism). Listen to this unbelievable fact! Nick's Dad strongly opposed President Bush's invasion. But, even more ominous is the fact that a Right Wing group has published a listing of the "enemies" of the war! "The family firm of beheaded American Nick Berg, was named by a conservative website in a list of 'enemies' of the Iraq occupation. That could explain his arrest by Iraqi police --a detention which fatally delayed his planned return from Iraq and may have led directly to his death. Nick Berg, 26 disappeared into incommunicado detention after his arrest by Iraqi police in March, 2004. He vanished again after his release 13 days later. His body was found last Saturday in Baghdad, and a video of his beheading --supposedly by a radical Islamic group-- was posted on the Internet on Tuesday. "The FreeRepublic.com web site and forum has a reputation for right-wing views, fanatical Republicanism and relentless pro-war activism. On 7th March, 2004, just three weeks before the first anniversary of the invasion of Iraq, an 'enemies' list of anti-war groups and individuals was posted on the Free Republic forum. It began: 'Here you are, FReepers. Here is the enemy'. The list had been copied from publicly available endorsements of a call to action for an imminent anniversary antiwar protest on 20th March, 2004. The protest was being organized under the banner of the A.N.S.W.E.R Coalition (Act Now to Stop War & End Racism)." The very idea that a radical Conservative action group would actually post a listing of their "enemies" with the admonition to go get them is chilling, but such is the nature of the day in which we live. When you examine this group, below, we shall see that some of the more radical supporters were enthusiastically searching for the members of this Antiwar group. Sure enough, Nick's Dad was on this "enemies list". "Among those listed as having endorsed the call to action was this entry: 'Michael S. Berg, Teacher, Prometheus Methods Tower Service, Inc'. That's Nick Berg's father, Michael who acts as business manager for his son in their family radio communications firm, Prometheus Methods Tower Service ... Michael was ardently antiwar, whereas his Bush-supporting son was in favor of the war to the extent that he had already visited Iraq seeking to help with rebuilding efforts. Just seven days after 'Michael Berg' and 'Prometheus Methods Tower Service' had come up on that Iraq war 'enemies' list, his son Nick Berg returned to Iraq under the business name of Prometheus Methods Tower Service." Does the Illuminati have its enemies' list? You bet they do, and they have tens of millions of people on it. The highest priority is the "Red List", on which all Christians are placed who care enough about Jesus to claim church giving and tithes on income tax forms, to become a member of a Fundamental Church, and who has ever taken a subscription to a magazine deemed "offensive". New Age author William Cooper in "Behold A Pale Horse" states that this list is a very finely drawn list and is updated all the time. Since the IRS has been keeping track of people who claim church giving at any point in their life, it is safe to assume just about every Christian in America in on their list. But, cheer up, to be on the Illuminati's "Enemies" List means you are probably Born Again, which puts you on the Lamb's Book of Life! Let us return now to the subject of this Free Republic website who posted this antiwar "enemies list". "I forwarded the list to the ISC (the command you listed), the district officer... the district legal office and the investigative services office." Who beheaded Nick Berg? The answer is that one of three groups had to have beheaded him. 3. Members of the Illuminist Palladium Rite, who incorporated all of the degrees of the Memphiz-Mitzraim. Members of this group are not only obsessed with beheading ritual, but ascribe to it the meaning of killing the Old World Order so the New Order may arise. Only then can the "Christ Spirit" come into the world. You be the judge who killed Nick Berg. However, of this you can be sure: this beheading potentially will enrage the West against the Muslim. Since the Muslim is already enraged against the West, you have all the makings of an all-out Regional War. Who benefits from this beheading? The Illuminati who is pursuing the "Blood In The Streets" strategy.